So of course you’ve heard that Facebook is vital to your marketing and business success. After all, anyone can create a Facebook page for their business, and dream about engaging millions of fans on their new page. But, not everyone can engage their customers and establish real relationships with their audience. Creating a Facebook page that inspires and engages readers can seem daunting, even impossible. So how do you actually establish relationships and actively interact with your audience – and your customers – on Facebook? Here are five tips you can use to strengthen and build customer engagement on your Facebook page. Social media marketing is unique in that it allows real discussions to develop between you and your customers. However, there are businesses who treat their Facebook pages like print ads in the local phone book. Let’s get something straight: Social media is no place for advertisements, at least not in the traditional sense. No one is going to be interested if your status update says “Buy (your service or product) here.” In fact, many potential customers will lose interest in your company the moment they think that you’re trying to sell them something. Instead, build your Facebook engagement by focusing on providing valuable, useful, or entertaining content in the form of images, memes, how-to’s, links to blog posts, interactives, infographics, etc. This is actually not that difficult to do. Simply ask yourself what the your audience wants, and then try to fill that need. This kind of content addresses customer needs and interests, and thus is valuable and appreciated. Should you also try to sneak in some mention of your product or service while you do so? Sure. It’s your company’s Facebook page. But avoid posting content that only talks about your product or services. And only do it if your product or service is actually related to whatever you’re sharing. Bottom line: If you can provide great content, then your customers will be interested enough to seek you out; you won’t have to go looking for them. Every amazing piece of content that you post is only a precursor to the next amazing piece of content, which is (hopefully) already in the works. Facebook posts are temporary things, and within a few days (or even hours), they will have gotten buried under newer posts. They’ll no longer appear on the newsfeed, so you need to post frequently, and you need to be timely and relevant with those posts. 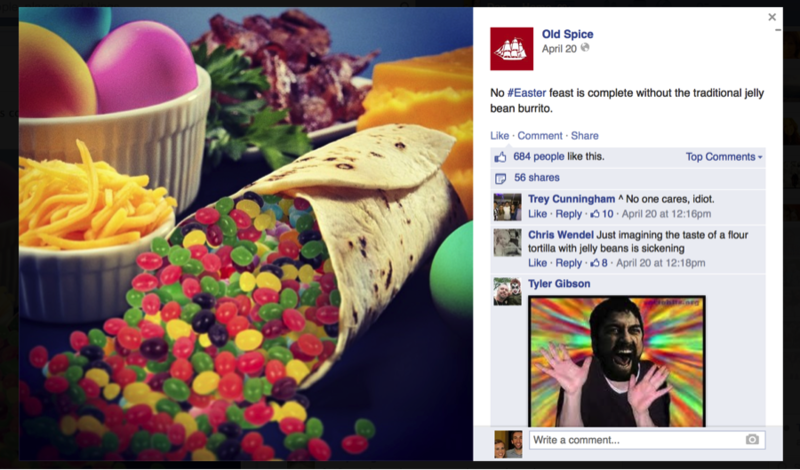 Old Spice somehow manages to deliver fun and interesting images and other content almost every day, and the fact that they have over 2.5 million likes shows just how successful their consistent posting is. They’ve established themselves as kings of quirky humor advertising, and posting funny content consistently is one way they have stayed actively engaged with their customers. A piece of viral content is the holy grail of content marketing: it provides maximum exposure at a minimum of effort. If you really want your readers to share your article or post, make sharing effortless for them. 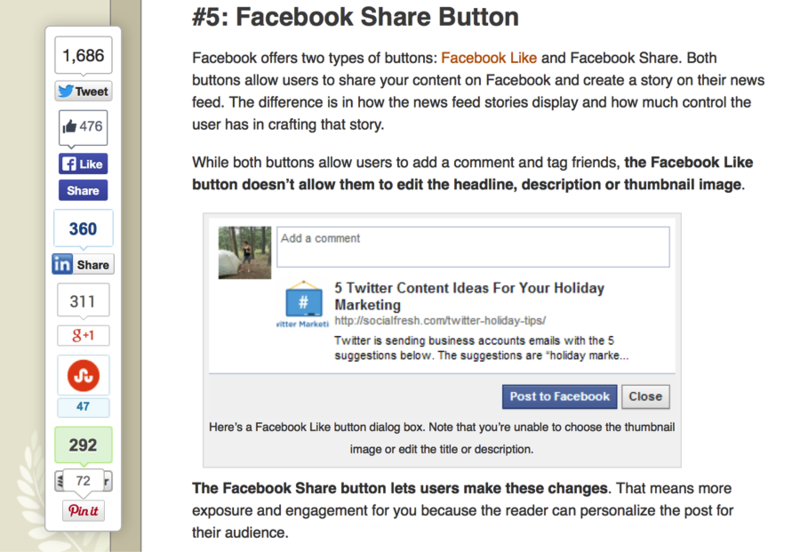 Include social sharing buttons along with your content, and customize your sharing buttons for your audience. This way, your customer’s ability to share your content will only be a click away. Many people – both companies and entrepreneurs – tend to dread public customer interaction. They’re afraid that if they allow viewers to comment directly on posts, then those viewers will address potential problems or create negative publicity. And guess what? They’re absolutely right; that does happen. However, customer interaction isn’t a bad thing. 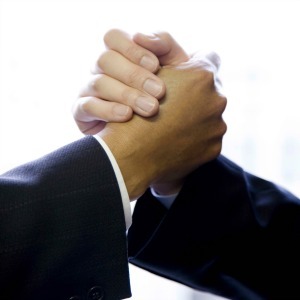 When customers come to you with their problems, it puts you in a unique position to solve those problems and to retain the offended customer. At the same time, responding to comments and creating a conversation is a great way to establish a strong customer relationship, and will also lead to valuable product feedback. Make sure to always keep your interactions respectful and appropriate. More than one business has seen its reputation crumble after engaging in an online flame war with an angry customer. Just look at Amy’s Baking Company. After a May 2013 episode of Gordon Ramsey’s Kitchen Nightmares cast the restaurant in a negative light, their Facebook page was attacked with criticism. The owners responded by going completely insane and attacking their attackers, comment for agonizing comment. The end result is that even a year later, their Facebook page is literally filled with negative comments by viewers. As ironic as it is, people are generally willing to put in a surprising amount of effort in order to get free stuff. Use this knowledge to your advantage, and offer contests and sweepstakes through your Facebook page. The simplest way to go about doing this is to offer a prize, and have the entry requirement be nothing more than a like and a share. However, it never hurts to get your audience a bit more involved. Consider posting an image and holding a caption contest, or asking for the best personal experiences from customers who’ve used your product or service. 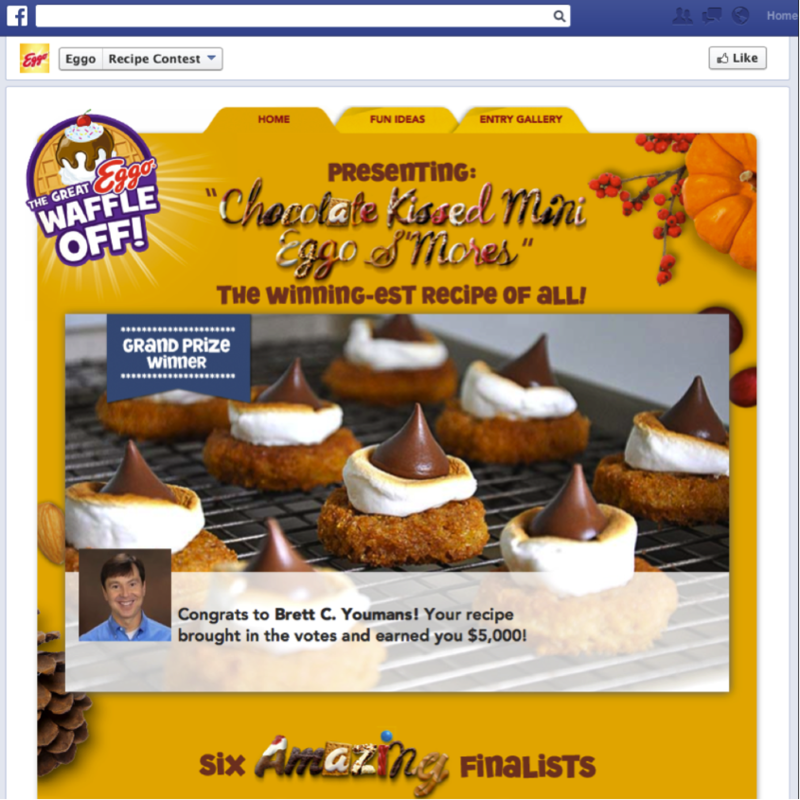 Eggo waffles saw amazing success with a contest that it hosted in which viewers could submit their own waffle recipes for a chance to win $5,000. When customers see that you’re willing to pay them back for their interaction, then they’ll be more eager to check your page regularly for updates. When it comes down to it, having a Facebook page is not enough to reach your customers. You can build a Facebook audience that interacts with your brand, but you’ve got to go one step further than just existing on Facebook. Give your audience a reason to engage with you and your brand by creating shareable content with your customers in mind, responding to your customers’ questions, concerns, or reviews, and hosting giveaways to engage your customers. 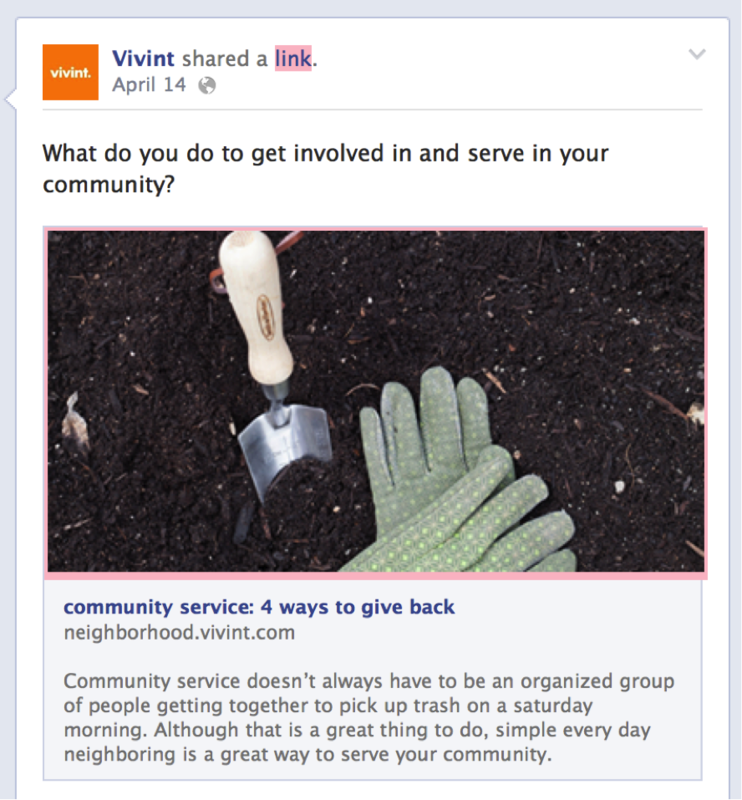 How have you increased customer engagement over Facebook? Share your success stories in the comments below! Alex is the owner of 9mm Public Relations, a boutique consultancy that helps the owners of B2B businesses to build profile, pipeline and profits. By helping his clients to demonstrate the value of their skills, knowledge and expertise, he’s helped build pipeline worth hundreds of thousands of pounds. Alex has published 3 eBooks aimed at helping business owners to generate media coverage for free, develop killer case studies that attract more leads and create persuasive presentations that pull prospects to their business.